Close your eyes. Imagine yourself soaking up the sunshine on a sun lounge sipping a cocktail, surrounded by tropical gardens, overlooking sparkling ocean vistas entertaining the thougths of which incredible restaurant to visit for dinner. That is the Port Douglas experience. The region is a secret tropical haven. It boasts an air of sophistication as if it is aware it's one of the most beautiful places on earth. Once a sleepy fishing village, the township has blossomed into a secret tropical haven. 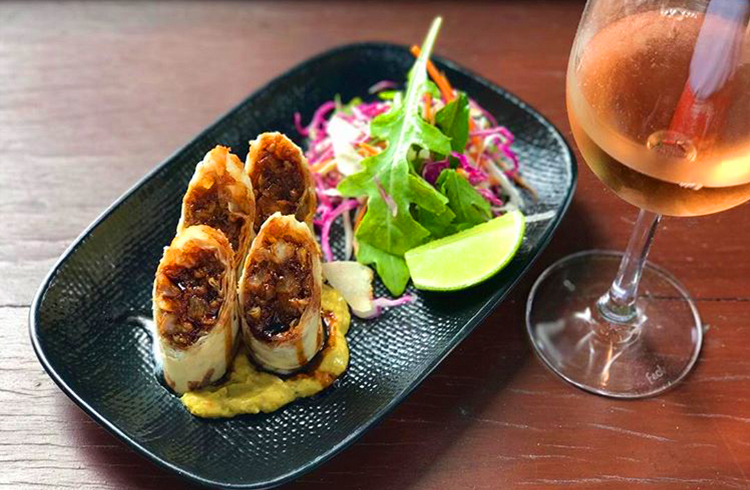 You'll find boutiques lining Macrossan street, an incredible dining scene, an array of resorts, the Great Barrier Reef just off the white sand beaches and the Daintree rainforest behind you. Even the weather is tropical year round (the most popular time of year to visit is winter - but we love it anytime). 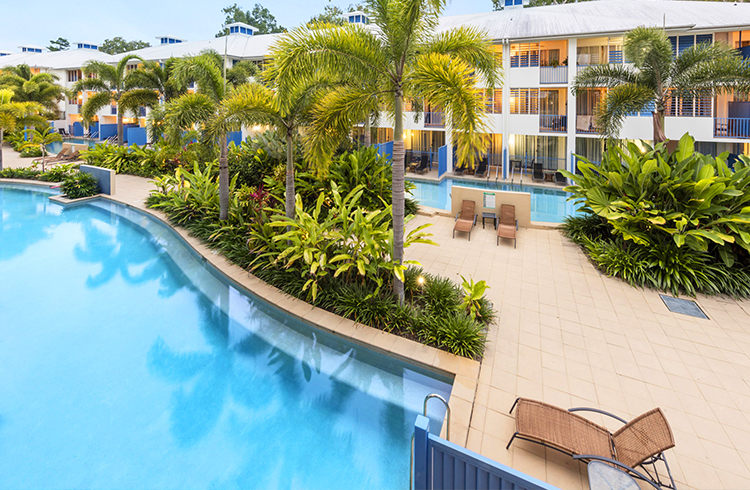 One of our guests favourite resorts is Oaks Lagoons Port Douglas. Boasting luxurious facilities, Oaks Lagoons comes equipped with six separate lagoon pools peppered across the expansive resort framed by luscious gardens, giving the area a tropical vibe. 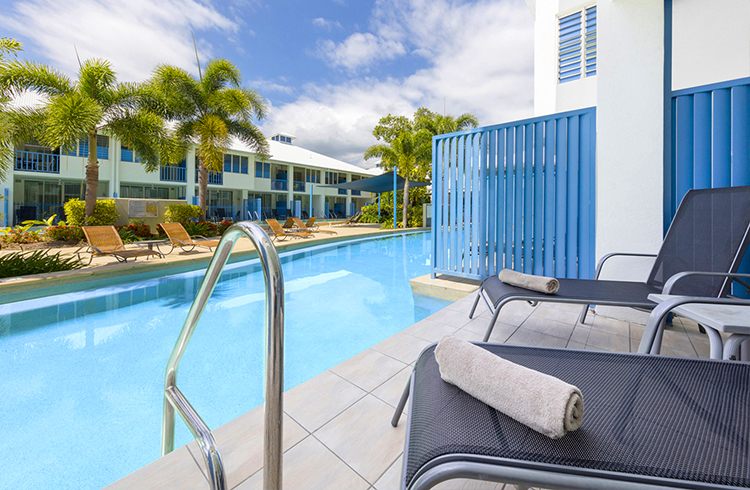 These pools stretch and meander around the resort allowing direct access toan array of swim-out apartments and beautiful views for others adding to the tropical atmosphere. Amidst the lagoons is a BBQ area perfect for cooking up a feast and enjoying an afternoon picnic. For those that love swimming, you'll have direct access to the spectacular lagoon with a Swim Out apartment or your own private oasis with a Plunge Pool Apartment. 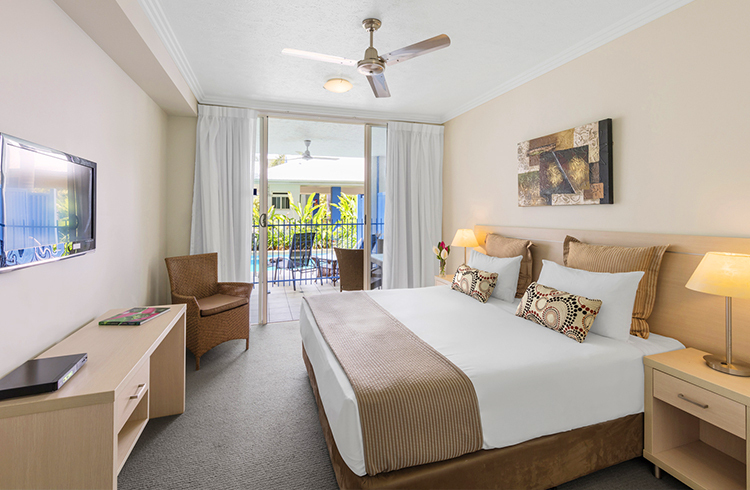 Although it is appealing to spend your entire Port Douglas holiday enjoying the opulent Oaks Lagoons pools, dining, and service, the temptation of exploring town, the reef and rainforest can be too much! 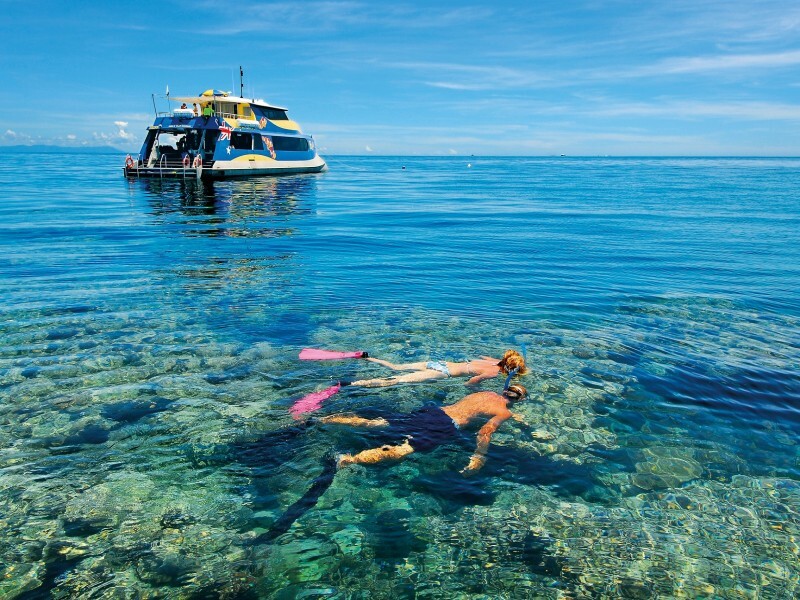 Port Douglas is one of the best bases for exploration of the Great Barrier Reef Queensland has to offer. Quicksilver and Sunlover Cruises both offer amazing full day experiences that take you to the outer reef to snorkel, dive, glass bottom boat tour, and more. If you'd prefer not to get wet, a helicopter tour of the reef is an absolute must do! GBR do amazing scenic flights. 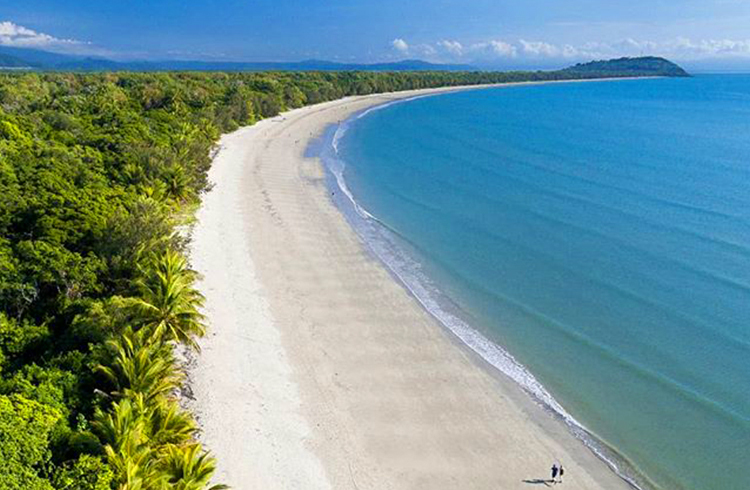 For an equally intriguing experience, with less sun, but just as much beauty head inland to the Daintree Rainforest. The world's oldest continually surviving rainforest has wonders aplenty. 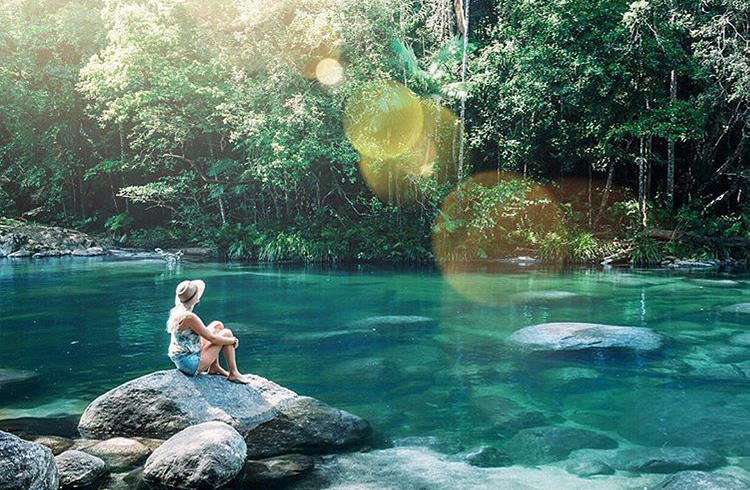 Our favourites include Mossman Gorge where you can visit the educational centre, go on a walk, take a dip and relax. 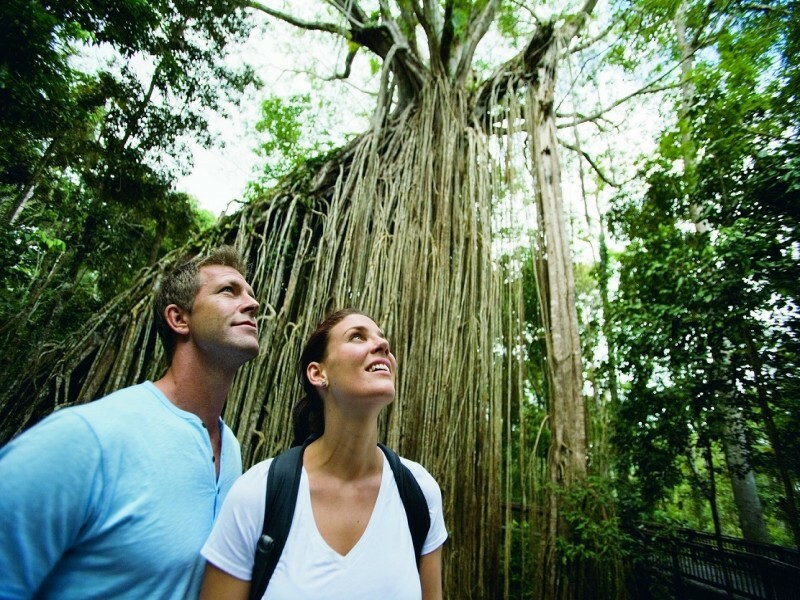 If you're feeling adventourous and plan to cross the Daintree River, stopping at the Daintree Discovery Centre to enjoy the treetops walk and guided tour is a great way to see the sights and learn about the region. Finally you have to drop by the Daintree Ice Cream Company for a locally made sweet treat on your way out (there are vegan options!). To discover the forest without the endurance the Skyrail Rainforest Cableway is the perfect option. 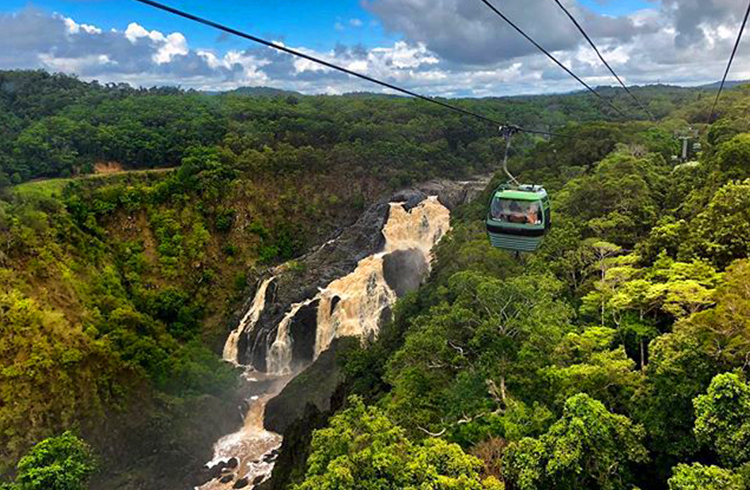 The short drive south of Port Douglas will be well-rewarded with a bird’s eye view of the luscious tropical rainforest, a knowledgeable tour guide, and an air-conditioned cable-car. 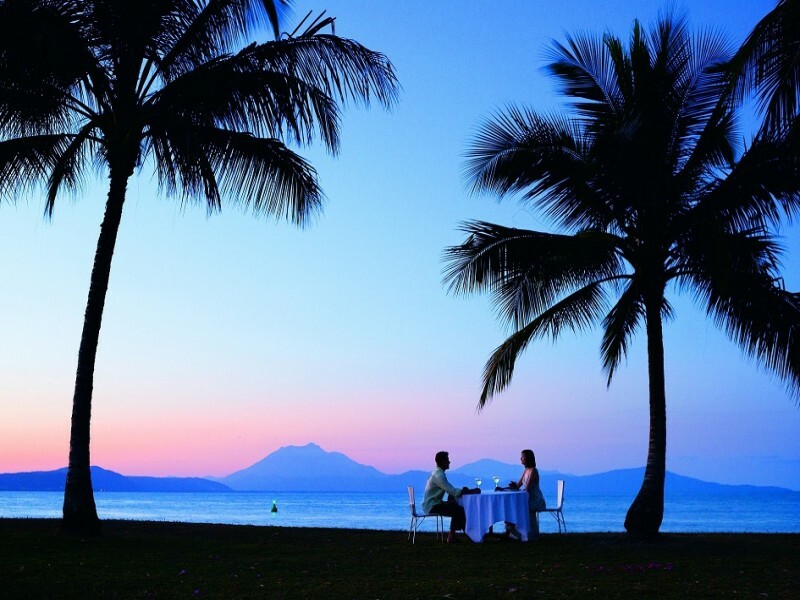 Of course, after your Port Douglas adventuring you are sure to have worked up an appetite. Luckily for you, the quaint town has a burgeoning restaurant scene. Watergate is a beautiful flame lit restaurant with a sophisticated atmosphere and great cocktail menu, while Harrisons has won numerous national awards for its tantalising cuisine served with stunning views on Wharf Street. For a casual dining experience both Zinc, Salsa, and Fresq have a hearty family vibe. To take your significant other somewhere special, enjoy a romantic meal at Nautilus. This unparalleled dining experience begins by entering through a hidden walkway that finishes on tree top decks boasting panoramic views of the tropical surrounds complimented by 5 star cuisine and compatible wine pairings. 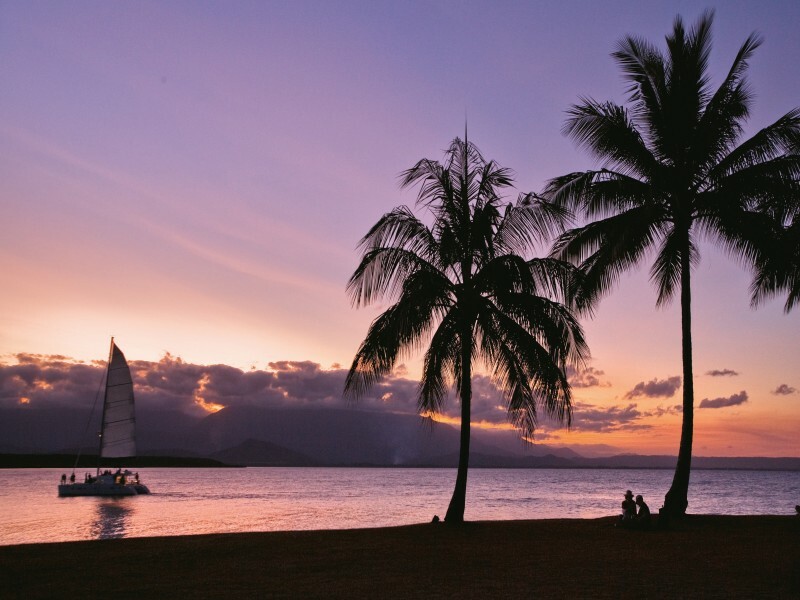 So when the winter blues set in, or you simply want to take your family away on an unforgettable tropical holiday, call the experts at Discover Queensland! 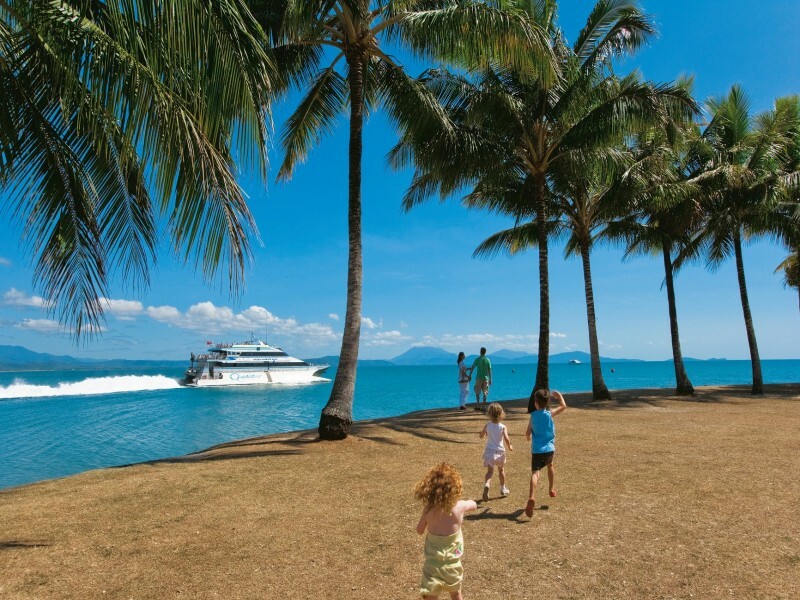 Our team would love to help book your Port Douglas escape to Oaks Lagoons to make memories that last a lifetime.